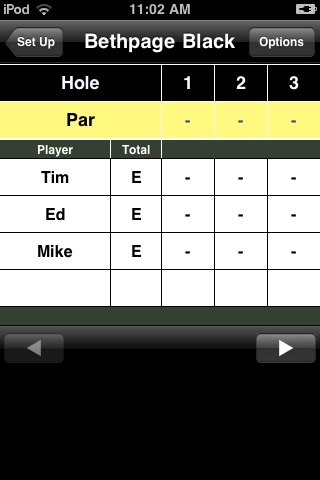 Golf Leaderboard is a free, easy-to-use golf score tracking application. Streamlined and minimalistic in its design, the Golf Leaderboard app will turn your iPhone or iPod Touch into a mobile scorecard to keep a record as you play. For novices and seasoned golfers alike, the Golf Leaderboard app is a valuable tracking tool that will become an integral part of your game. · Simple to use interface. · View/edit previous play history. · Create new courses or select previously created courses to auto-populate par values. · Track the play of up to four players. · Environmentally friendly — no more wasting paper cards. · Efficient — no more wasting time lugging out physical scorecards and pencils!